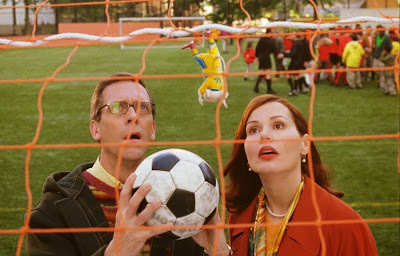 There is immediate difficulty for people, like me, who go into "Stuart Little 2" without having seen so much as a frame of the first film (or for that matter, without having read a single line from the famous children's book by E.B. White, who also created "Charlotte's Web"). How do you approach the experience? What is required of those of us who have no foreknowledge whatsoever about the already-established subject matter we are confronted with? And furthermore, are we in an unfair position to judge a film on its merits when the foundation for the plot was anchored in an earlier movie that we have yet to see? I encourage readers and friends who immerse themselves in these kinds of experiences to simply keep open minds when going into the theater, but that sometimes isn't enough. The definite test in these situations, as it is with any kind of sequel, is to examine the basic structure: is the movie and its material truly of itself, or does it heavily depend on what has already been established? 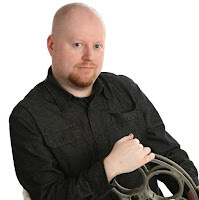 Not all motion pictures fall under the same answer, and that's okay; some require a heavy reference to the past (such as the films of "Star Wars") while others can start from scratch and forget about everything that happened beforehand ("Grease 2," for instance). "Stuart Little 2" falls somewhere in between both categories, and on that basis has its highs and lows in terms of foundation. But once we're acquainted with the fundamentals, the movie begins to build a charming and observant little vehicle of childhood entertainment that melts away all the reservations we take into the theater with us. No, the movie doesn't demand that you view the original "Stuart Little" outing in order to understand everything going on, and though a few of the past references tend to pass quickly over some heads, it's never too obvious to prevent us from having a decent time. The picture is a silly but amusing package of innocence, fantasy, adventure and color, stirred together as if it were replicating the rich imaginations that kids take to the movie theater. As it opens, we're invited into the household of the Littles, a cheery and "normal" family that consists of a mother, a father, a little boy, an infant, a cat, and.... A talking mouse, who the others consider an integral part of the family structure. His name is Stuart (Michael J. Fox), and aside from his small proportion, he lives a very normal and accepted life amongst his friends and relatives. No one seems to acknowledge the fact that he is just four inches high in length, but there is a hint of that quality bubbling beneath the conflict of the story, which is that Stuart's size severely undermines his potential for friendship and respect. When he joins his brother's soccer team, everyone is enthused by the addition (with the exception of the mother, Eleanor, played by Geena Davis). But when the chips are down, Stuart is forced to sit on the sidelines and watch his other teammates play; apparently cleats and little mice don't mesh very well on the playing field. One day during a routine drive from school to home, Stuart meets an injured female bird named Margalo (Melanie Griffith), who crashes into his passenger seat after trying to escape a foreboding falcon (James Woods) in the skies above. Stuart takes an instant liking to this small creature, the first, we gather, that Stuart has met and communicated with during his entire life with the Littles. Reluctantly, Margalo accepts an offer to recuperate at his residence, but later, seemingly without a trace, she disappears from his life altogether. This encourages our heroic rodent to set out on a journey in the big city to find and rescue his new best friend, whom Stuart suspects has finally been napped by the same old falcon. The key to this very simple plot structure lies in laughs, and "Stuart Little 2" has a surprisingly strong sense of humor to convey its jokes. Not all of it is physical comedy, either; in fact, the dialogue is almost witty and cute enough to deserve the steep ticket price. The majority of the best quips and one-liners are delivered via Nathan Lane, who voices Snowball, a Persian family cat whose attitude towards Stuart is a lot more tame than we'd expect from a ferocious-looking feline. When he is tricked into helping Stuart on his search in the big city for Margalo, Snowball makes his displeasure known quite well. Later, when he and the mouse are warned about the harsh reputation of the falcon they are seeking out, the four-legged furball announces, "Guess what? I no longer need a litter box." The live action cast exists merely as it deserves to: it's a generic platform to usher us into the world of these tiny but charming little creatures. There are a few standout moments, though, when Geena Davis is the target of our attention; her possessive attitude and simplistic structure are ideal qualities of a mother in these types of movies, and yet not too plastic to feel like they've been pulled away from a 1950s sitcom parent. She's a sweet and gentle woman, worried intensely about the well-being of the smallest family member when other people don't seem to notice how different he is from everyone. Naturally, the movie still has its share of reservations as well. The concept of talking mice and birds coexisting with the human race, for instance, is a somewhat implausible one, especially in movies that tend to forget that there are obvious differences between them. Moreover, there are points when the movie feels overly simplistic and stripped down, as if the filmmakers are expecting their young audience to be near brain-dead. But "Stuart Little 2" doesn't dwell too much on these failures, and in fact does a very decent job of trying to work around most of its shortcomings. The movie isn't grand or spectacular by any means, but given the climate of movies for children right now, it sure beats the likes of "Scooby-Doo." Good one! This is what I wanted my husband to see. It is a good movie and I want to watch it with my kids. He only likes shows by Andrew Yeatman and accompanies us while watching those shows. I am sure posts like this will change his mind and he will begin watching movies with us.